Do you swallow your needs, wants, and desires in relationships? Are you blocking your message, dream, or purpose that wants to rocket into the world? When you stay silent, quiet, hiding, and small, you deny yourself and others your truth and gifts. Your authentic, embodied voice and truth are your feminine power. 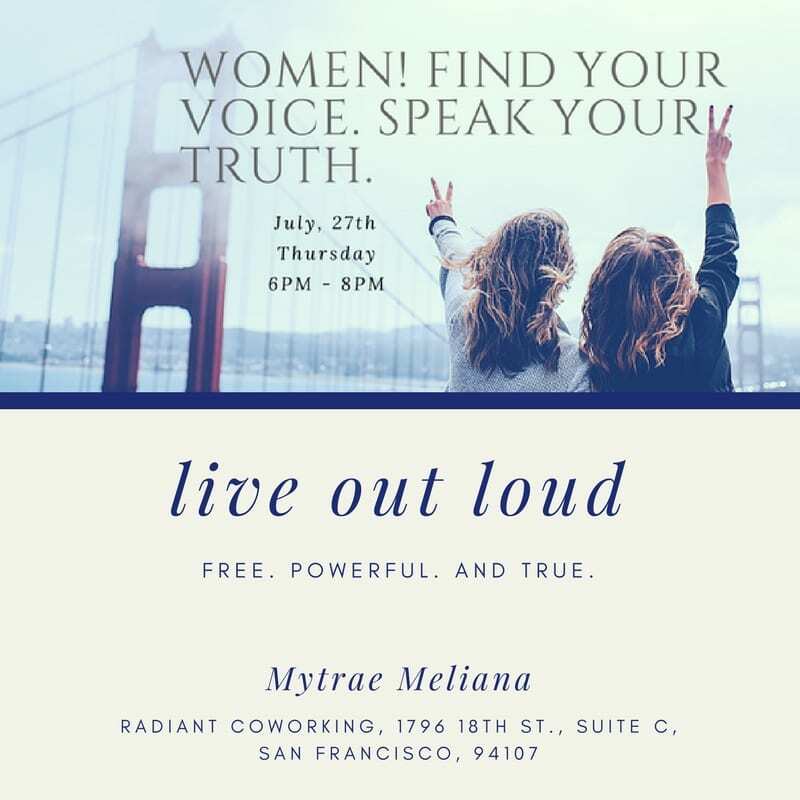 This workshop empowers you to find your voice so can speak your truth, take up space, and unapologetically express your gifts. Come, join us. Dare to face and overcome your fears and self-doubts. Invest in and claim your voice, truth, and power. And live out loud — free, powerful, and true.